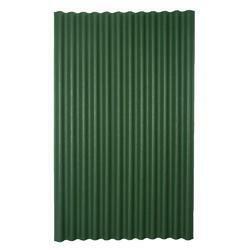 Our product range includes a wide range of barricading sheet, colour coated galvanised sheet, colour coated roofing sheet, rib tile sheet and industrial roofing sheet. barricading sheets most usde for constructuin site to prevent of dust flowing in air kansal colour roofings has special barricading steel sheet manufacturer witch has wider width of 1150mm it cover more area then another general sheets are available in market our barricading sheet reduce the cost of sheet project by 10%. With a precise understanding of the relevant industry, we introduce ourselves as the leading supplier of Colour Coated Galvanised Sheet. Manufactured by our adept professionals using the finest quality Galvanize Sheet and sophisticated technology, this Sheet is widely used in industrial workshop, commercial and civil building. 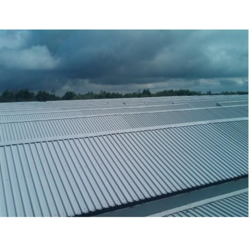 Owing to a long-term destination for our business, we are engaged in offering a wide gamut of Colour Coated Roofing Sheet. 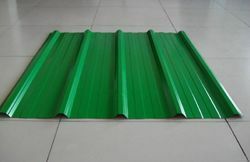 Available in various designs and sizes for our valuable clients, provided roofing sheet is used as an external envelope for walls and roofs of various buildings. 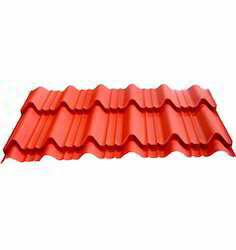 The offered roofing sheet is designed by our adept professionals using the best quality raw materials and sophisticated technology in adherence with set quality standards. Available in Pre-Painted G.I & Colour Coated Galvalume.